Coyotes were first reported in Union County in early 2000’s and reports have increased since that time. Since they were first reported in 1939 in Hunterdon County near Lambertville (NJDFW), the range of coyotes has expanded with reports coming in all 21 counties. Coyotes, which serve an important role in our ecosystem as predators, are a successful species in New Jersey because they are able to adapt to human development. 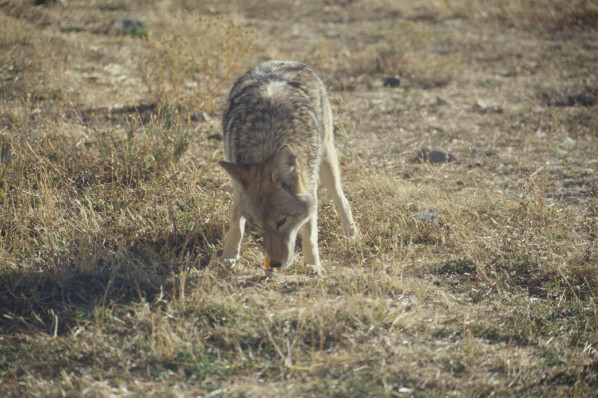 Coyotes are omnivorous and readily adapt their diet to food availability. Coyote’s natural diet consists of young and weakened white-tailed deer, rabbits, small mammals, groundhogs, birds, insects, fruits, and plant material. If available, coyotes will also consume garbage, pet food, and road kill carcasses. People can be more comfortable with coyotes and avoid possible conflicts by better understanding coyote biology and behavior. The Eastern coyote is a member of the Canidae family and resembles a small German shepherd dog. Body length (nose to tail) ranges between 4-5 feet weighing 20-45 pounds, and males are usually larger than females. They have long thick fur ranging from blonde to reddish-blonde to gray, as well as dark brown washed with black. 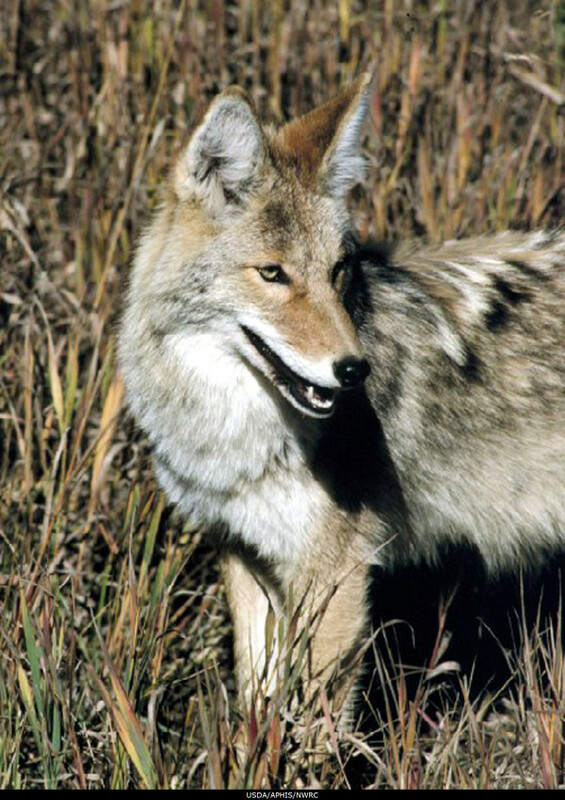 As territorial animals, coyotes will defend their range. They are monogamous mammals. Although unusual, competition with domestic dogs may occur during mating season in February. In March and April female coyotes are raising their pups, while the male coyotes seek food for the female and the pups. Litters tend to range from 4-6 pups, which will grow rapidly. After 5-7 weeks they abandon their dens and continue to grow, learning more and more from the adults. After 9 months they are fully grown and eventually leave the pack’s home range in search of their own territory and mate. Many people often think coyotes are nocturnal and seeing them during the day means they are sick or have rabies. Even though they are more active at night they can still be observed during the day. A coyote with patches of missing fur and/or a furless tail may be afflicted by mange, not rabies. Mange is a skin disease in which mites bite and burrow under the skin, which cause irritation and fur loss. A coyote with mange may be misidentified in the wild, since its lack of fur may alter its appearance as a typical coyote. Coyotes are highly adaptable and can live in close proximity to many residential areas. It is not unusual for coyotes to be observed in suburban areas, especially in parks and other green spaces that offer habitat for coyotes. Naturally afraid of humans, over time coyotes may become accustomed to human presence, which is when conflicts between coyotes and people can occur. Coyotes that associate people with food can become a nuisance so you should never feed coyote – intentionally or accidentally. Clear brush and dense weeds from around dwellings – this reduces protective cover for coyotes and makes the area less attractive to rodents and rabbits. Coyotes, as well as other predators, are attracted to areas where rodents are concentrated like woodpiles. Contact USDA Wildlife Services at 1-866-4USDA-WS (1-866-487-3297).